This is Richard Thronton with the ball for Coalisland Na Fianna GFC and Gerard Mooney for Ardboe O’Donavan Rossa GFC playing in a Tyrone senior county league game in Ardboe today. I was covering the game for the Tyrone Herald newspaper. 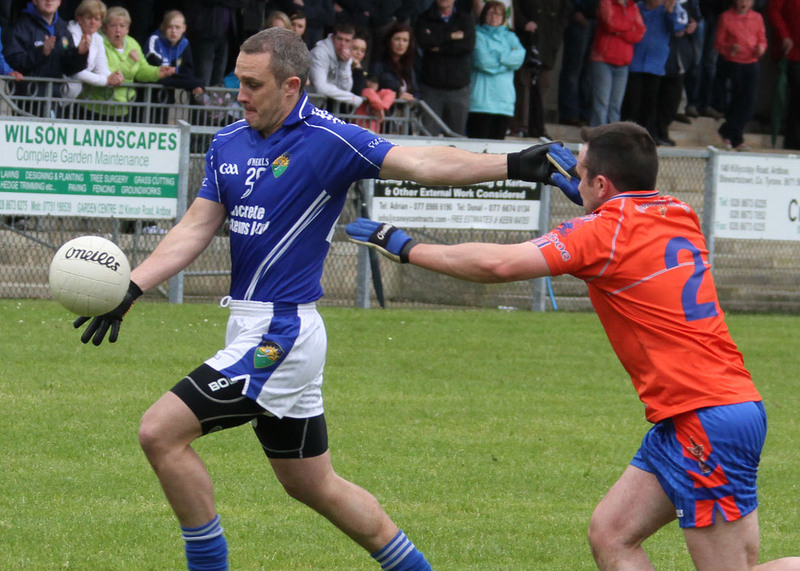 Coalisland won with a score of 1-11 to 0-10. Every Sunday all over Ireland thousands of people participate in or go to spectate at Gaelic matches.